Quite possibly one of my favourite worship artists ever, Phil Wickham has been delivering radio hit after radio hit over the course of his worship career, from songs like “Grace”, “At Your Name”, “This is Amazing Grace” and “Glory”, to “Eden”, “After Your Heart”, “You’re Beautiful”, “I’ll Always Love You” and “Heaven Song”. With his distinct ethereal voice being as hauntingly refreshing as ever now than when he started his career 10 years ago, Phil’s enthusiasm and heart for worship is as infectious as ever, and at times on his new album Children of God, we get a glimpse into the style that British worship band Delirious? once was, and how they themselves could’ve sounded like if they were still a band today. In fact, I reckon much of Phil’s music is on a similar vein musically, sonically, poetically and lyrically to Martin Smith and the rest of the guys from Delirious?, which is not necessarily a bad thing. Children of God is everything that you could hope for in a Phil Wickham album and more, with elements of electronic, dance, pop, worship and everything you would imagine Phil to do, all thrown into the mix and stirred, shaken and thoroughly meshed together- so that Children of God and its 12 songs are the result. Borne out a season of vocal rest and the potential of him not even having the ability to sing again because of vocal cord complications; this season of three years has also brought with him clarity, hope, encouragement and healing as Phil has brought to us one of the most mature and heartfelt collections out of any in his career thus far. Writing authentic, powerful, heartfelt and emotive songs for us to contemplate and dwell upon, Phil’s music is an embodiment of vocal effects and an electronic undertones, yet it is Phil’s charisma and enthusiasm that oozes throughout each song with his distinct trademark voice anchoring each melody, that makes it certain for Phil’s new album to be one of my favourites of 2016 thus far. Originally on the Pizza Ranch music album compilation released last year and also recorded acoustically on Sing Along 3; “My All In All” has been one of my favourite worship songs of late. With light keyboards starting out the song, Phil sings from the outset- ‘…You are my life, You are my love, You are my reason, You are my hope, You are my joy, You are my passion…’, lyric lines we all need to contemplate and ponder on, as we can often travel through life often not believing these aforementioned words. “My All in All” is a song to recapture everything that has been lost to us be it from busyness or not even having enough time to read the Word and soak into what Christ has told us again and again- that we are enough to declare Him to be our all in all. Though sounding very hymn-like, “My All in All” is anything but subdued, with this rousing anthem being a testament to the stand and statement we make to Christ about what we want Him to be for us in the lives we lead. A standout on Children of God, Phil has re-recorded the song especially for the album, which makes “My All In All” even more special. The first radio single on the album to release in February, “Your Love Awakens Me” is as enjoyable and CCM-like as any of Phil’s past singles, and is my favourite since “At Your Name” released in 2011. As said by Phil himself, ‘…the idea is God calling out to me as Father and all the great lengths He went through to make me part of His family: sending Jesus to come and die and rise again that I might have life and come into His presence, to not be a servant in His household but be part of His family. It says in the Bible that we are co-heirs with Christ of the Kingdom of God. That’s how God looks at us, and nothing can take that away…’ That is something for us to be proud about, and for us to be alive and woken up by the realisation of what Christ has done for us really means to us as we live our lives is what Phil’s latest single is reminding us about. With a heavy synth presence, Phil manages to use the synths to the right level- not drowning out the song with excessive music layering, not is it underutilised; as “Your Love Awakens Me” becomes one of the catchiest songs I’ve heard in 2016 thus far (alongside other songs like “Get Hype” (1GN), “The God I Know” (Love and the Outcome) and “Deeper (Meredith Andrews)). While Children of God released just a day or so ago, there are still more songs on the album that are familiar. “Doxology/Amen” is a re-imagining of the beloved hymn, with Phil adding in his own quasi-chorus of him declaring the word ‘amen’ to the Lord as this opening track full of light keyboards and an electronic atmosphere sets the scene nicely as people hear the album with “Doxology” as the first track. While not as lively as the version recorded by Stars Go Dim last year, the passion of Phil’s voice and the effort on the song is nothing short of powerful and magnificent. 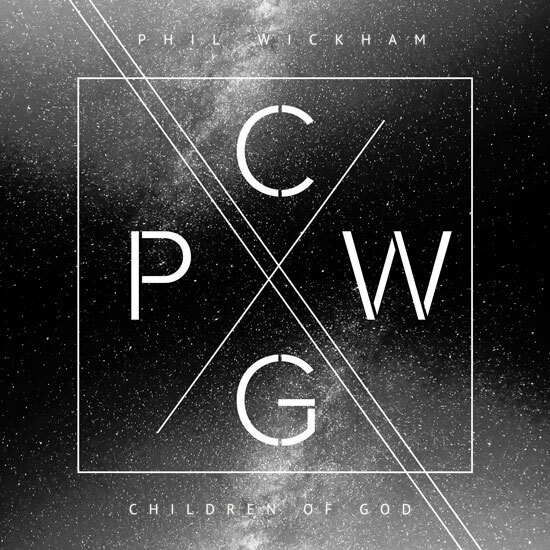 “The Secret Place”, “Children of God” and “Starmaker (High Above the Earth)” have all been included on Phil’s noisetrade sampler released earlier in March 2016, and each of these songs are still standouts on Children of God. “Children of God”, the title track, shows a new side of Phil (dance-worship), with its execution nothing short of sublime. Full of energy and hope, Phil relays the theme of us being children of God no matter what the circumstance. Irregardless of our past, our present and our future expectations of what we believe this life will be, Phil gives us a timely reminder, that ‘…we are believers, all our hope in the Risen One, and we are soldiers, we’re fighting with faith and love, and we are pilgrims, on a journey to reach our home, standing together, we are the children of God…’ A call for unity and standing together in our core faith and belief in Christ the Risen Lord, “Starmaker” continues on with this emotive theme, becoming quite possibly the most vulnerable song on Children of God. Singing about the star-maker is in fact a humbling moment, where all attention is not on ourselves, but on the One who deserves all our praise, and is worthy of everything we are and everything we give. With a piano introduction, and Phil trying his best (and at most times succeeding) at singing the high notes, Phil (and all the vocal echoes that sing along with him) give testimony to the starmaker and creator, and how “…I can’t look away, I am captivated, what else can I say, but sing in adoration, You are holy, You are holy, high above the earth…” Usually songs that are of a great length (5:30 and beyond) seem to be lost with me at times, yet Phil’s song has kept me interested throughout the whole track length. With soaring drums and an angelic choir bringing about the last chorus in a Delirious?-esque fashion (think songs like “My Soul Sings” and “King or Cripple” where the instrumental music brings about the end of each song), “Starmaker” is as enjoyable as it is inventive. “The Secret Place”, track 4 on Children of God, is a duet with fellow singer/songwriter Madison Cunningham, and is one of my favourite duets since Rachel Lampa and Group 1 Crew’s collaboration on “Everyday is a Miracle” way back in 2014. A song about us singing a love song to God, where we poetically declare that we are ‘…running to the secret place, where you are, where you are, I’ll sing to You of all the ways You stole my heart, stole my heart, cause better is a moment that I spend with You than a million other days away, I’m running, I’m running, I’m running to our secret place…’, both Madison and Phil make this song a standout and highlight on the album. In a similar vein thematically to Matt Redman’s “Better is One Day”, expect this song to be in circulation either on radio or in Sunday morning services in months to come. Kudos to Phil for such a powerful and energetic track, as we see him venture into a musical territory that is certainly new for him, yet was executed with much poise and grace. Throughout the rest of the album, Phil continues to relay to us themes of hope, encouragement and comfort, all across the musical backdrop of dance-worship as Phil’s album continues to stretch him musically, making Children of God in a similar way to Heaven and Earth way back in 2009. A catchy synth song, “Wide Awake” is a call for us be awake in our lives and not just living it in a mundane way, as Phil utilises passion, enthusiasm and a whole lot of electronic keyboards to present “Wide Awake” to us, a song that highlights to us the constant need to be awake and stay awake, especially when it comes to things of the spirit. Co-written with Pete Kipley (a frequent co-write with artists MercyMe), the busyness of “Better than Life” musically seemingly detracts a bit from the theme of us declaring God to be better than life in every aspect and moments we find ourselves in on a daily basis (yet nevertheless is a melody that is necessary to hear for anyone struggling in placing God as first focus in life on a regular basis); while “Stand in Awe” brings to us light keys and a theme of us declaring God to be the one who knows everything about us, thereby us giving Him the moments of our lives where we just stop and stand in awe of His beauty and grace. “Body, Mind and Soul” brings to us a tinge of country as the electric guitar and light vocal reverb become at the forefront musically, as Phil powerfully asserts that he will serve God with body mind and soul, thus being us giving Him all we have and all we are; and songs like “Spirit of God” and “As It is in Heaven” round out the album in stylistically powerful fashion, with “As it is in Heaven” an anthem for us to declare, as we long for God’s kingdom to come down to earth as it is in heaven, while “Spirit of God” brings the musical backdrop to a nice piano undertone, as Phil unveils a theme of humanity longing for God’s spirit in the everyday and the menial, even if we may not know it at that time. ‘…we have an identity in God. We are His children, and we are set free, born again, fearless and shameless. There is no reason to be insecure, anxious or afraid. With God on our side, there is nothing to fear. That is a free gift, for all of us to step into the victory that God has won for us to be called His children. Even when we were sinners, when we were dead in our sins, God made us alive by His grace…’ Despite the long length of time between albums, Children of God, is well worth the wait. With songs like “The Secret Place” evoking a love-song style, and “Starmaker” reminding us that we are indeed created by the star-maker, and thus humbling us to the point where us and our desires and needs fall into the background; Phil continues to present poignant songs of praise and perseverance as this new set of songs are some of the most emotive and energetic I’ve ever heard Phil perform in his whole career. Should you listen to Children of God in the upcoming months ahead? Listen to the noisetrade sampler first (and read my review) to make a well-informed decision. Releasing on the same day as albums from NF, V. Rose, We are Messengers and Jordan Feliz, Phil’s new music I’m sure will come with much success and lives changed because of these songs even in the years ahead! Hey everyone. If you’re interested in listening to the album, check it out on The Relevant Magazine’s website, on The Drop. Dunno how long the album stream will be on the website, so hop to it and listen to what I reckon is one of the most emotive and beautifully crafted worship albums of 2016 thus far!